Here's a card I picked up at SCRAP. 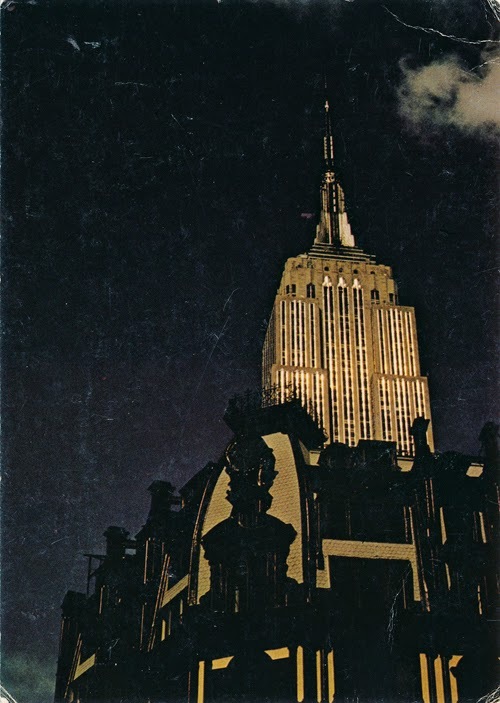 It's the Empire State Building glittering against an ominous sky. Very Batmanesque. 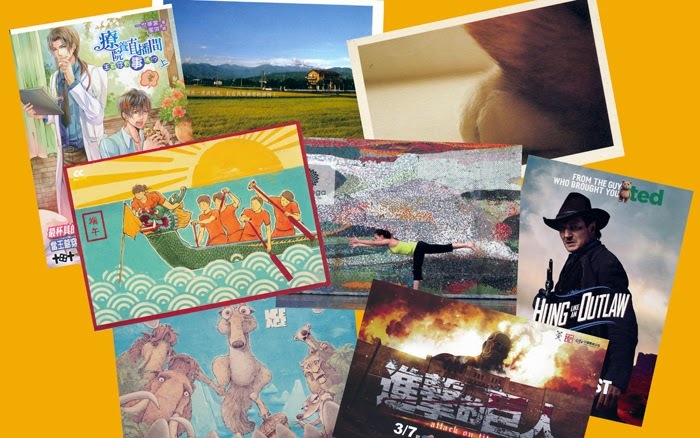 I am sending this card to a German postcrosser who requested weird postcards/weird angles. It's got two Batman stamps on the back. Hope she enjoys it. I picked up this card at last year's white elephant sale in Oakland. 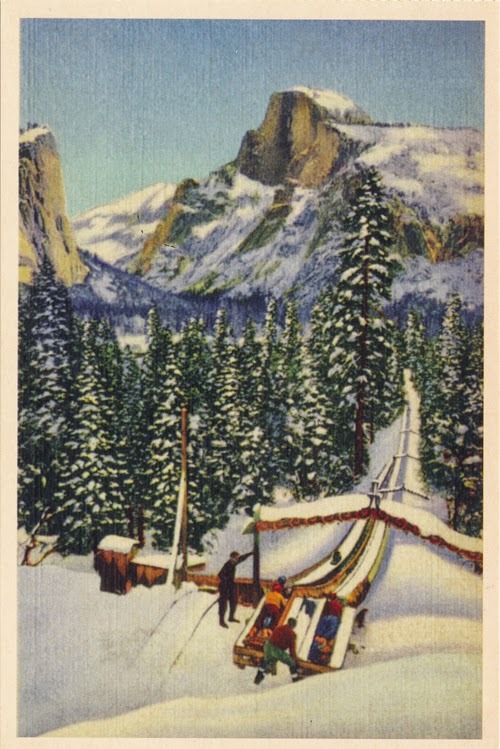 This was called the toboggan slide and provided outstanding views of El Capitan and Half Dome. Slide was apparently made in 1927 and removed in the 1950's. 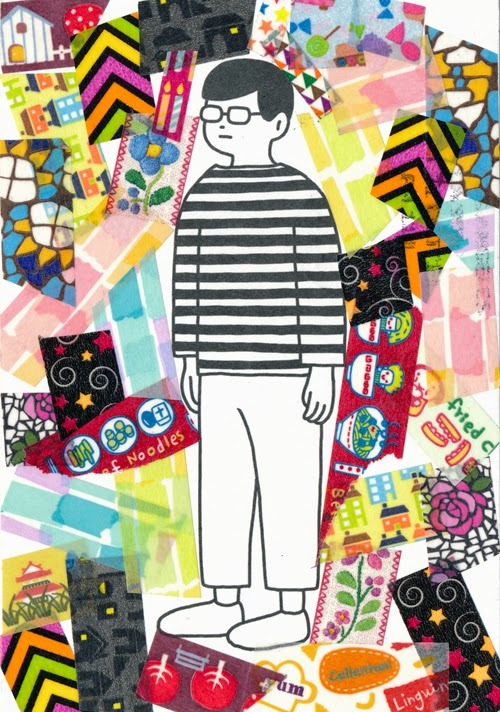 I am sending this card to a postcrosser in Japan. What a surprise! 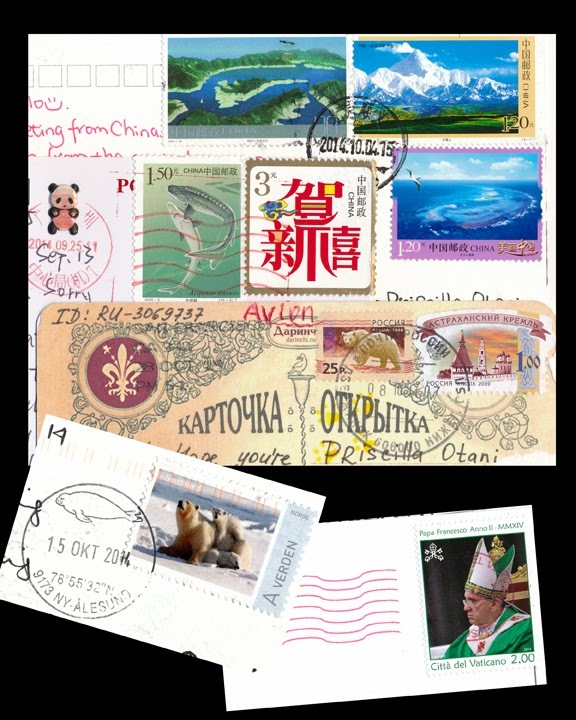 I received eight cards in one envelope from a Taiwanese postcrosser. Nothing was written on them and they were a jumble of types (ad cards and regular) and images. However, I had received two anxious emails from him last week, asking if I had received the cards yet. He thought he had sent seven, but there was an extra one. Having no other message to give me a clue as to why he sent this assortment, I decided to create a story linking all of them together. Once upon a time, a doctor was treating a patient who was addicted to Belgian waffles. The patient came from a farming village famous for its buckwheat. Between big bites of his waffle, the patient said that the buckwheat farmers were actually animals and they cast a spell on him. The doctor asked a detective to see if this was true. The detective was "hung like an outlaw," but he was afraid that he too would become bewitched. He assigned his assistant to sleuth things out. Fearless, she launched her dragon boat powered by youthful trainees. They rowed day and night until they arrived in the land of buckwheat. They were greeted by a group of goofy animals, who gave them a place to stay and plied them with delicious waffles and milk. In the morning assistant and her crew were transformed into waffle monsters. 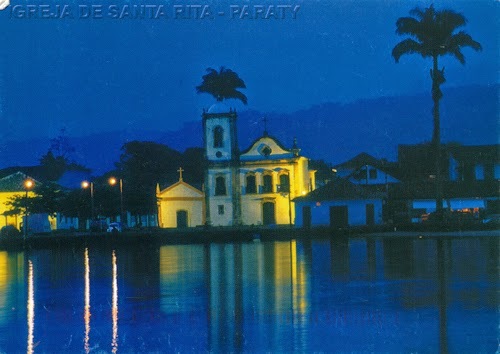 This palm tree and reflective water card is from a postcrosser in Brasil. 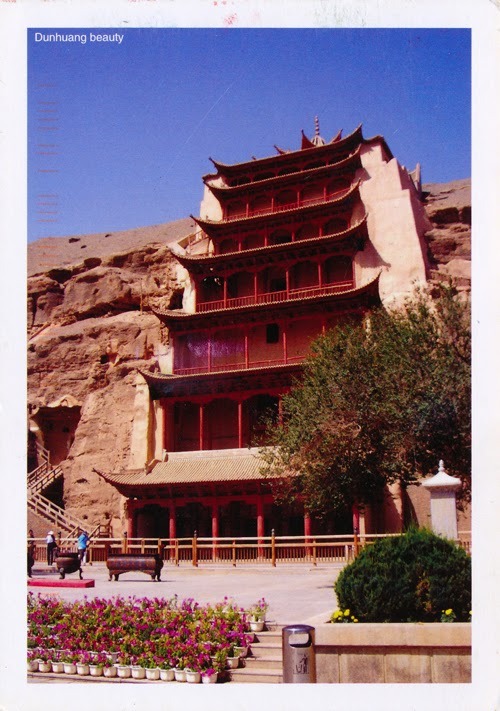 The entrance to the Dunhuang caves in dry desert-like conditions is from a Chinese postcrosser. 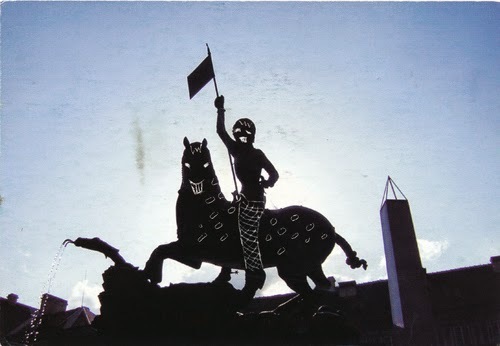 I love this silhouetted image of a sculpture in Prague but the postcrosser from France sniffed that she would never visit Prague to see these ugly sculptures. This imaginative Chinese postcrosser decorated a simple card with all kinds of decorative tape. 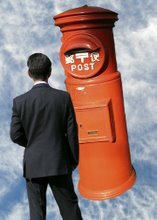 The card above is a maxicard from an Australian postcrosser living in Victoria. The cancellation shows first day of issue, January 2008. 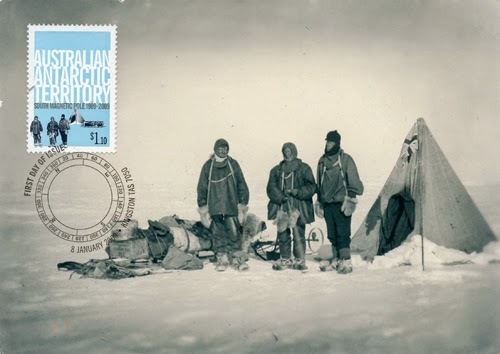 According to Wikipedia, the Australian Antarctic Territory was claimed by the UK and placed under the authority of the Commonwealth of Australia in 1933. It is the largest territory claimed by any nation. 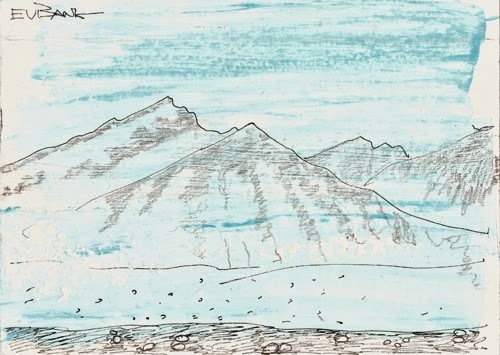 This card is a painting by Danielle Eubank, who traveled on an expedition boat to the Arctic Circle. Cool that both cards arrived at around the same time! Hey hey! 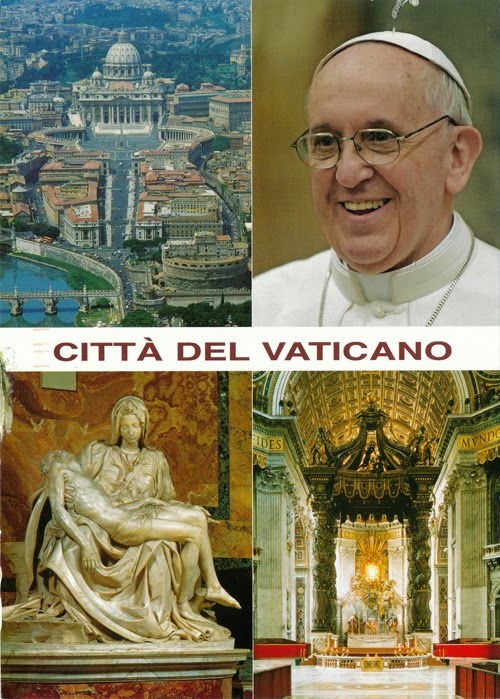 Here's my first card from a postcrosser from the Vatican. He is an American studying for the Catholic priesthood in Rome. 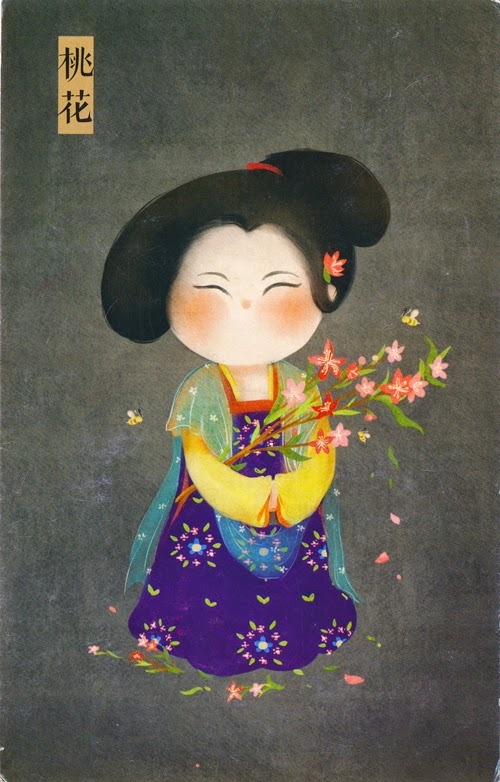 This lovely peach blossom card came from a postcrosser from Guangdong, China. I am always pleased to get illustrations of characters with beautiful narrow eyes. 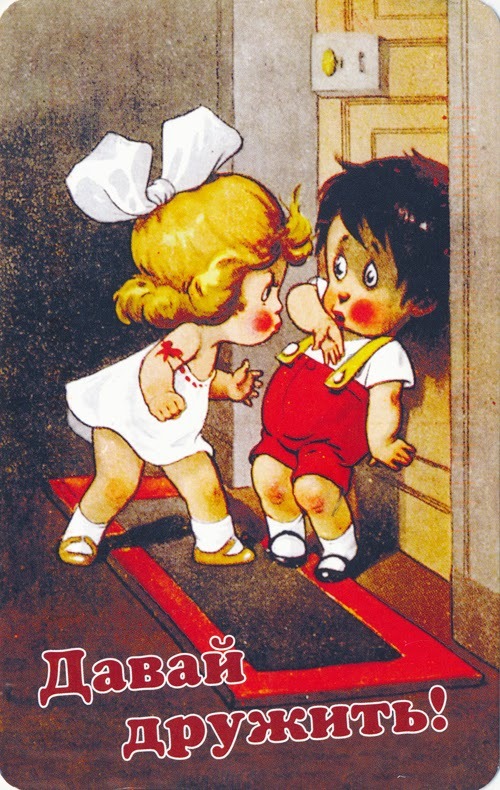 Here's a cartoon of an assertive little girl. You tell him sista! This is the first postcrossing card sent by a Russian girl. I hope it reflects her own self confidence. Can someone tell me what the Russian words mean?